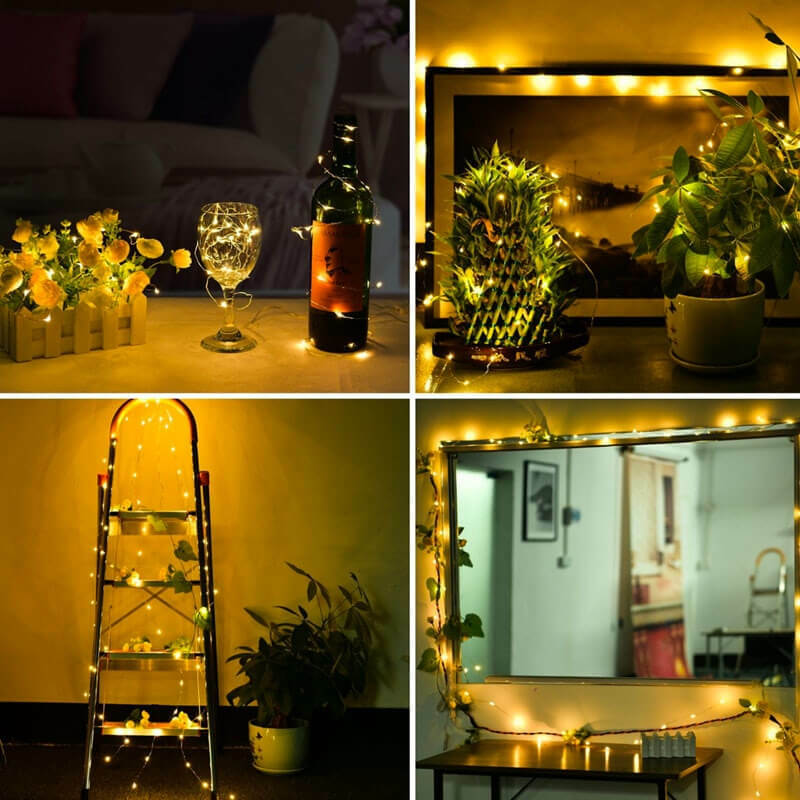 Copper Wire LED Lights are the easiest way to make any area of your Home glow, creating a cozy environment anywhere they are set up. The string is made of copper making them easy to wrap around anything. Once wrapped they will keep their form as you have placed them! Use them on plants, mirrors, the fireplace, Christmas trees, railings, table tops, bed frames and much much more! They're 100% waterproof so you can decorate the interior and the exterior of your home. Get 5 or 10 meters, each meter includes 10 LED Lights. Battery operated they're completely portable, no more extension cords and extra wires. Perfect for the holiday season they create a warm glow, make staying inside during the cold months that much more comfortable.